The Bioanalytical Unit in the School of Pharmacy of The Chinese University of Hong Kong was established in 2000 with the support of a grant (Industrial Support Fund) from the Industry Department of the HKSAR. Equipped with a wide range of sophisticated analytical instruments (e.g. LC-MS/MS, HPLC, UPLC, FTIR), the Unit has provided comprehensive drug analytical services for 9 local pharmaceutical companies and public hospitals. These services are integral to standard pharmacopoeial drug testing, product stability testing, and drug analyses in biological fluids for bioavailability/ bioequivalence assessment. For quality assurance the Unit has been accredited by the Hong Kong Laboratory Accreditation Scheme (HOKLAS) for pharmacopoeial testing of specific drug products since 2004. The current scope of accredited tests can be referred to Hong Kong Accreditation Service (HKAS) web site (HOKLAS147) . All drug product evaluation and drug analyses are conducted by a team of well-trained technical personnel with at least 10 years of experience. This team is supervised by pharmaceutical scientists and licensed pharmacists with relevant advanced qualifications (at both Master’s and doctoral levels) and technical experience and, if necessary, has access to complementary analytical expertise in the Faculty of Science at the university. Since its inception, the Unit has completed pharmaceutical testing on more than 1,000 marketed drug products . More than 40 stability studies of pharmaceutical preparations. 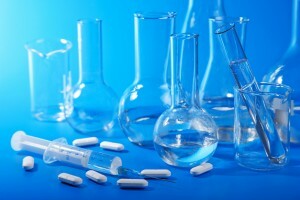 In addition, the Unit has completed long-term (5 years) product stability studies for a few local drug manufacturers and drug authentication of suspected drug counterfeit cases for multinational pharmaceutical companies. The Bioanalytical Unit has also joined with clinical team from Department of Medicine and Therapeutics, The Chinese University of Hong Kong to conduct Bioavailability and Bioequivalence (BABE) studies since 1999. Since then, over 80 local generic products have been investigated. Bioequivalence study 生物等效性試驗 has been recognized by the China Food and Drug Administration (CFDA) since Aug 2006. With the establishment of Phase 1 Clinical Trial Centre (P1CTC) in 2014, located at Prince of Wales Hospital, BABE studies have been conducted there. Our services cover protocol generation, study design, conduct of clinical study, assay development and validation, sample analysis, statistical analysis and report generation. Clinical research is governed by CUHK-NTEC Clinical Research Management Office (CRMO) and CUHK-NTEC Clinical Research Ethics Committee (CREC) .